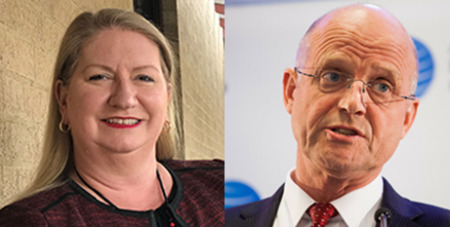 Catholic Health Australia has expressed deep concern that Senator David Leyonhjelm’s proposed bill to allow the ACT and Northern Territory the right to legalise euthanasia serves to distract from inadequate access to palliative care. In a letter to senators, CHA chief Suzanne Greenwood said that legislating for euthanasia and assisted suicide would have dangerous unintended consequences for vulnerable Australians including Indigenous, ethnic, disabled, and the elderly, and has been consistently opposed by national and international medical experts. Ms Greenwood said CHA members are some of the longest serving health and hospital service providers across Australia, providing more than 50 per cent of palliative care services to rural and remote Australians. She said it is troubling that this bill has arisen at a time when an ACT inquiry into end-of-life care has revealed inadequate access to palliative care across the Territory. “The most recent data from the Australian institute of Health and Welfare states that in 2016 there was an insufficient 226 specialist palliative medicine physicians across all Australia, with only six palliative care specialists available in the ACT and a scant four in the NT to service an area 1.421 million kilometres squared,” Ms Greenwood outlined. “We are gravely concerned about the potentially dangerous impact this legislation would have, undermining the medical profession, devaluing palliative care, and desensitising public attitudes to suicide. “Our medical professionals believe palliative care must be resourced as a priority and provision made for all Australians to experience a positive end of life. Those living with terminal illness require some of the greatest levels of support. Should we not be investing our every effort into enhancing and innovating palliative care to ensure our loved one’s experience a compassionate and comfortable end of life?